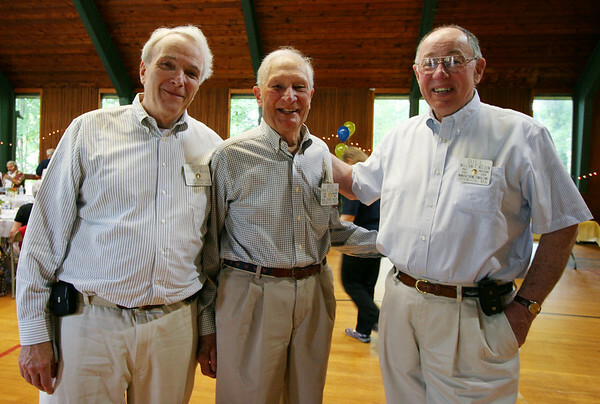 Bob Wicks, left, stands with Ben Collins and Bill Nelson at the Ipswich Rotary club's annual lunch for senior citizens. Photo by Mary Catherine Adams/Salem News. , Bob Wicks, left, stands with Ben Collins and Bill Nelson at the Ipswich Rotary club's annual lunch for senior citizens. Photo by Mary Catherine Adams/Salem News.